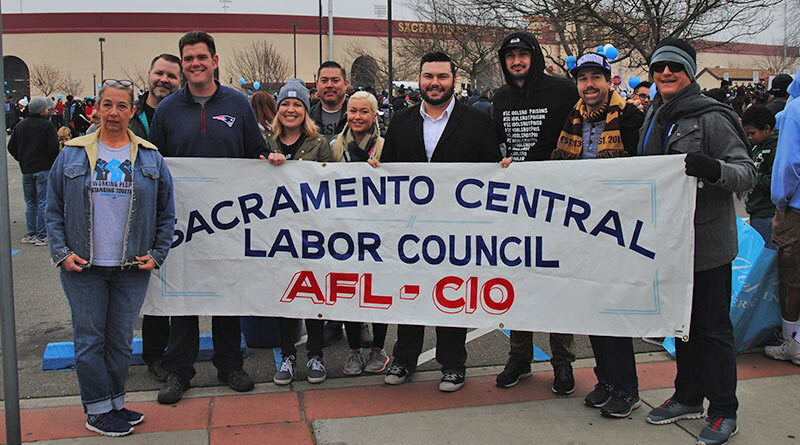 Members of the Sacramento Central Labor Council joined 30,000 marchers in the MLK Day parade. Union members and labor leaders joined with more than 30,000 marchers earlier this month for the annual Martin Luther King, Jr. Day March to celebrate the legacy of the civil rights icon. For many of those who gathered for the five-mile journey through Sacramento, the day was also about showing solidarity in the face of national politics that are damaging to working families. Unions joining in the march included Teachers & Classified School employees, Security Guards, Public Agency employees, Janitors, Home Care Workers, California Teachers Association, SEIU Local 2015, AFSCME Local 146 and others. Many unions also participated in two other MLK Day marches, one arranged by Sacramento Black Lives Matter and the other an event that takes place in north Sacramento around Grant Union High School. Sacramento Mayor Darrell Steinberg, an annual attendee of the march, was one of many politicians who participated. Steinberg said the MLK march is his favorite day of the year. Congressman Ami Bera of Elk Grove also joined the Sacramento event. “It’s about continuing to fight for that dream,” Bera told media. State Assemblyman Kevin McCarty told media that the current political climate was pushing more people to speak out. “People are galvanized. They want to get more involved in civic affairs and voting, whether it’s the women’s march or the Dr. King march. 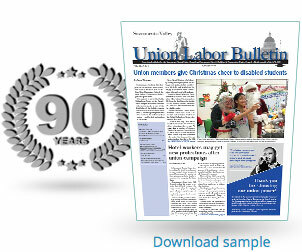 You know, I think you will see a lot more engagement at the ballot box,” McCarty said. Jim Cooper, a state Assemblyman from Elk Grove, had a similar take on the day.